VoodooPad is a garden for your thoughts. Plant ideas, images, lists and anything else you need to keep track of. 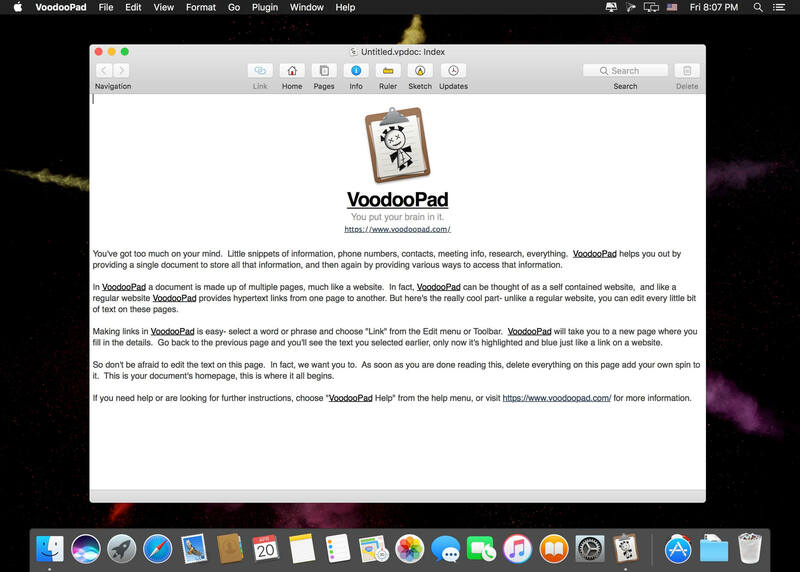 VoodooPad grows with you, without getting in the way -- no fences to box you in! 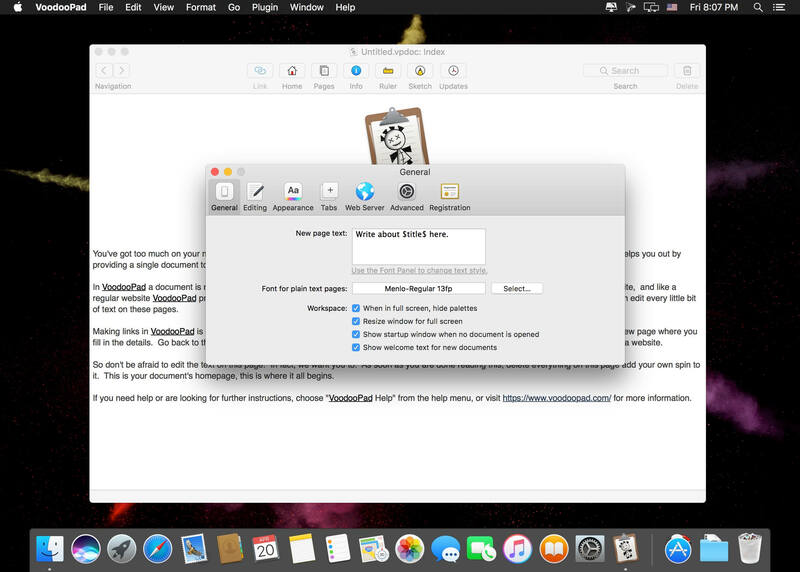 Type in notes, highlight important words or phrases and create new pages. 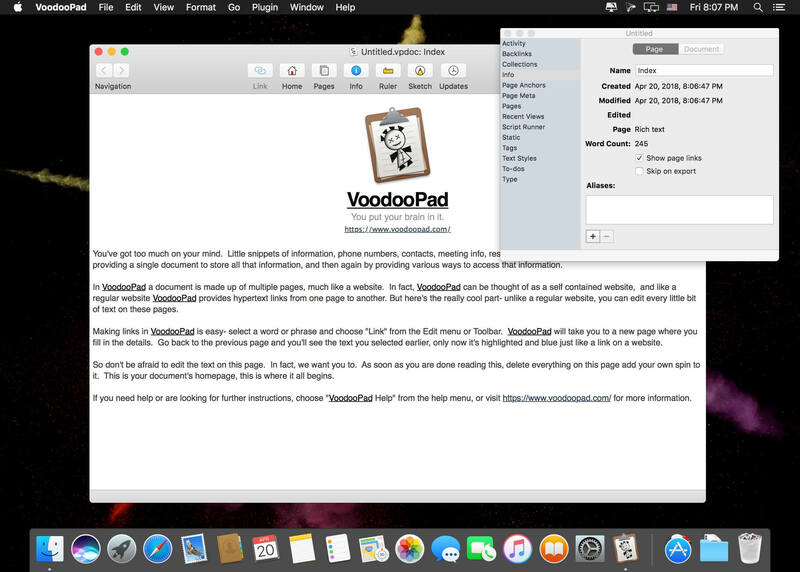 Drag and drop folders, images, applications, or URLs into VoodooPad -- they're linked up just like on the web. With powerful search, nothing will be lost or out of reach. The more you put into it, the better it gets.